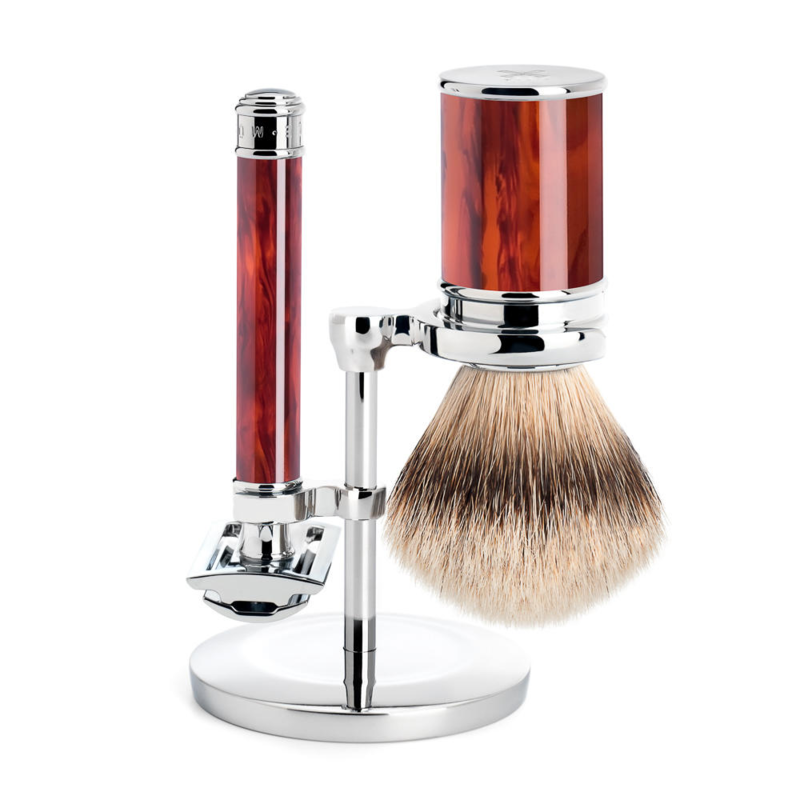 The Muhle tortoise shell traditional shaving set, Is a 3pc shaving set containing a safety razor. which has a muhle signature closed head. 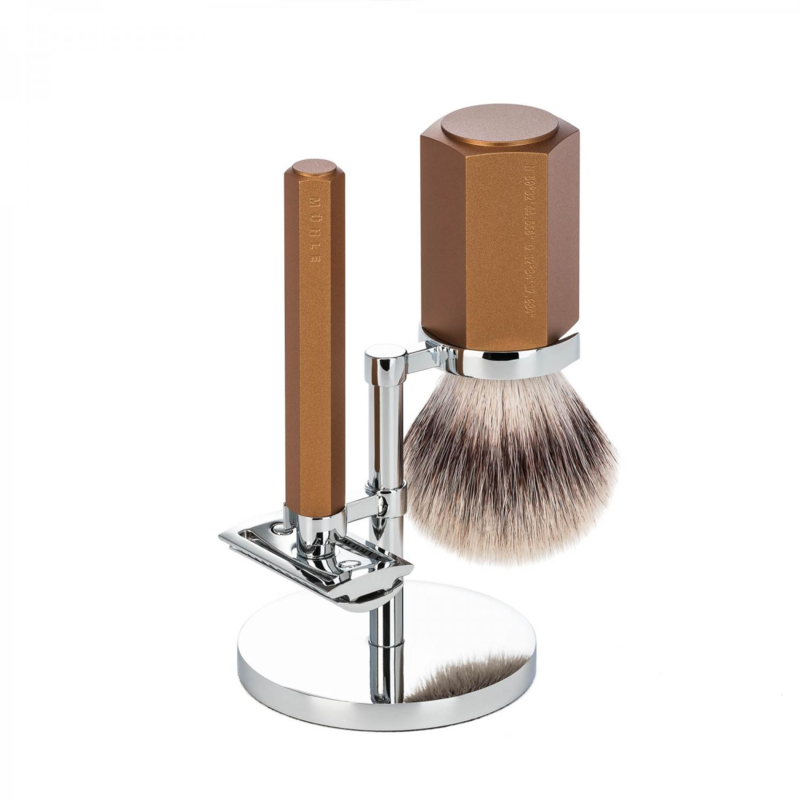 Creating a great all round shave, that is close but safer than an open comb safety razor. Weighing 64g and measuring 94mm. The brush Is Silver tip badger, which Is the highest grade of hair. Selected for It’s absorbent nature and exfoliating qualities. With an overall height of 104mm and a weight of 127g this Is a solid brush. 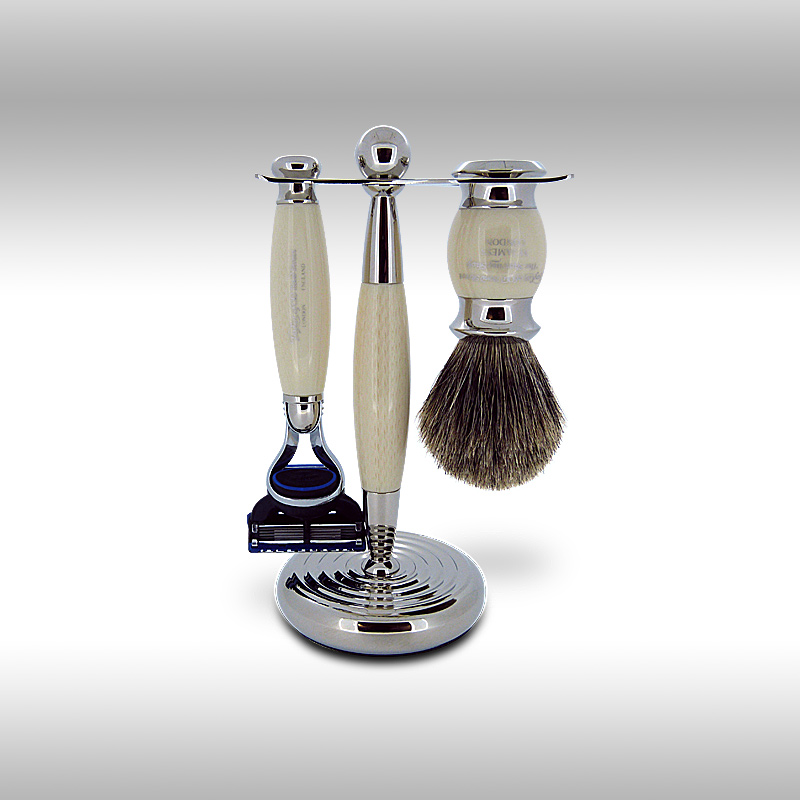 Faux Tortoise shell was popular In Edwardian times, which Is what Edwards traditional shaving emporium Is all about. The arts and crafts movement utilized plastics like celluloid and bakerlite to make this effect. Nowhere days Muhle use a high grade acyrlic. The handles of both are beautiful you really can get lost In the swirls and deep reds. Both Items hang off this stainless steel rack, that Is perfectly designed by the masters at Muhle. Both Items are brass lined and seemingly perfectly weighted due to this. 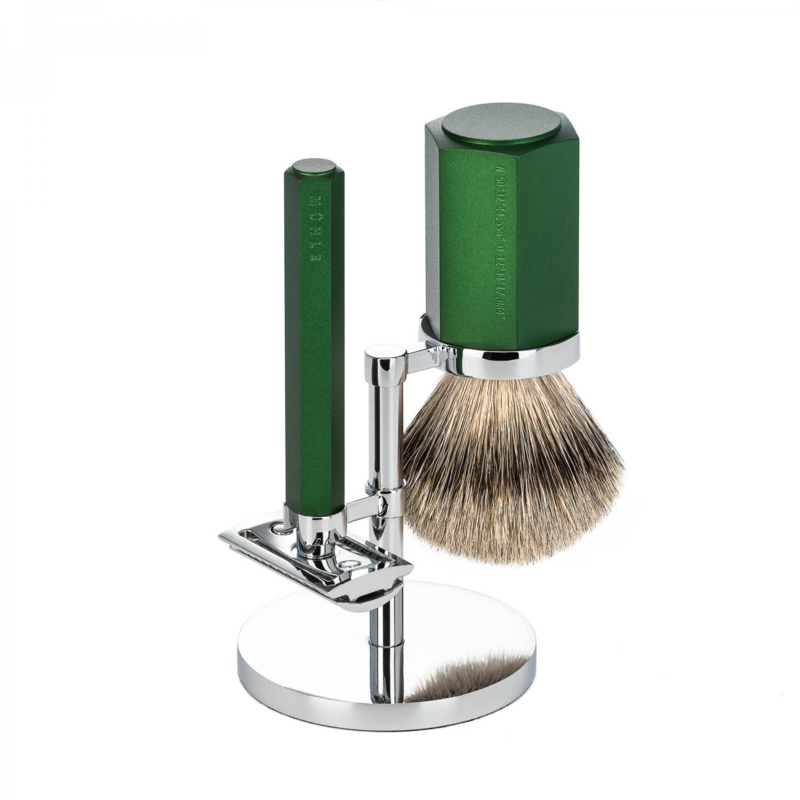 The safety razor takes traditional shaving double edged blade and the set comes with a free one. We sell 8 different brands of DE blades for you to choose from, otherwise you can find blades In all good chemists. This Is a wonderful set and who ever owns one will love It.